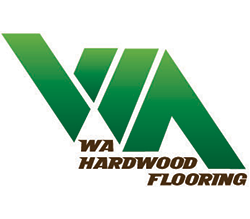 WA Hardwood Flooring is known as one of the top installers of affordable wood floors in Sugar House, Utah and we’ve been serving the Salt Lake City area since 2001. In addition to installation, we also stain, refinish, resurface, and restore hardwood. There’s nothing related to wood flooring that we can’t do. If you’ve already purchased flooring, we can install it for you, or we can help you with selecting the floor you want and then complete the installation. Our team can help you design a great pattern that is unique to your home, and with over 16 years of experience, you can rest assured that our hardwood professionals have the expertise to deliver an excellent end result. You will be pleased. Does your floor have cracks, stains, gaps in the planks or other issues? We fix hardwood floors, and we can handle any of the above problems and more. One of our contractors will complete a thorough assessment of the issue, determine the best methods to correct it, then repair, sand, and stain. We are proud of our reputation as a quality provider of services for wood flooring, and we look forward to working with you to make your floors look beautiful. If you’re in or near to Sugar House, please don’t hesitate to call.